Even for a metal listener who doesn’t delve too deeply or very often into the bleak chasms of the black metal world, it is apparent that modern times are interesting for the genre. There is a large effort to move the style forward into new territory, an act that is inherently stamped as ‘post’ in any metal genre that dares evolve past its roots, and to be certain there is much music worthy of exploration in that vein. Then there are the stalwarts, the old-school vanguard that stays steadfastly true (ahem, ‘trve’) to the foundations of the style, content to stand unwavering from the ethos that birthed their sound. For the objective listener there is respect to be found for either school when the offering is unique, engaging, and most importantly, interesting. Austrian underground disciples Alastor belong faithfully to the latter category of black metal purveyors, having existed in some form or another since 1996, releasing a few scattered demos before offering two full-lengths a decade into their career (2006’s Silva Nordica and 2007’s Noble North). 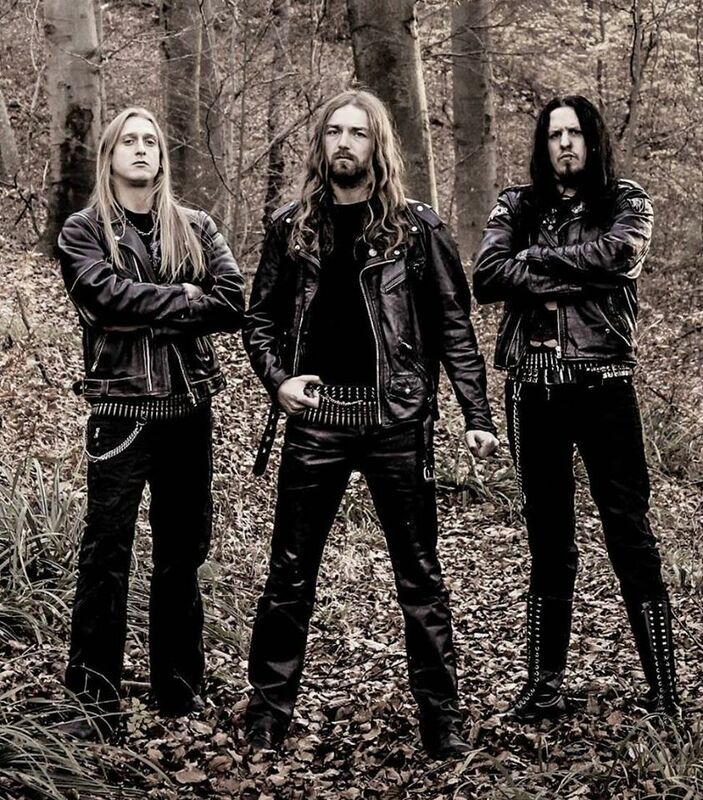 Now, with another decade under their bullet-belts, these Second Wave warriors have a new platter of frosted-over fury ready to unleash in the form of Waldmark, an album of grand sound and blackened fury. As mentioned, Waldmark is firmly entrenched in the ‘90’s style of early black metal, though it certainly presents itself with a sound benefit by modern production standards (not that Emperor and Mayhem didn’t have access to better recording technology, they were just too ‘kvlt’ for that sort of thing). The guitars are played with frenetic tremolo picking near the bridge to get that trademark treble tone, the drums are staccato gunshots peppering the songs, and the vocals are ice-cold rasps of northern nihilism. Traditionalism is the name of the game, and that is apparent right off the bat with album opener “Old Glacial Lake”, a song that evokes the epic grandiosity and fury of aforementioned Emperor and perhaps to a greater degree early Immortal. There is a raw ferociousness in the sound, but the music also takes care to evoke a great deal of melody, especially in the chorus with a sombre chord progression, which is the case for most songs on the record. There is a distinct motif in each track, and while they are not usually expounded upon beyond their borders, they are explored enough to make each song a well-rounded listen. The most striking and effective quality of Waldmark its ability to convey the subject matter within the songs. There are two main themes explored on the album; nature/mysticism and sagas of battle. (As an aside to the latter, while the music itself doesn’t stray stylistically into late-era Bathory the lyrical content and grandiosity of the chord progressions certainly harken to that band’s ‘Viking’ period.) Whichever subject the individual song covers is perfectly portrayed in the atmosphere, composition, and delivery of the music, whether it is a melancholic and pastoral ode to the Bohemian forests (“Lord of the Bohemian Forest”) or a rousing tale of steel-forged conquest (“Army of the North”). This facet of the album may well be the strongest attribute, as its effectiveness helps make up for the fact that not much ground is covered musically in general terms; the band has a sound they are going for and pretty much stick with it the whole way through, merely tweaking the angle to suite each song. It is inconsequential in a music review to use as a point of criticism the fact that no wheels are being reinvented when the band’s mission statement is the antithesis of innovation. 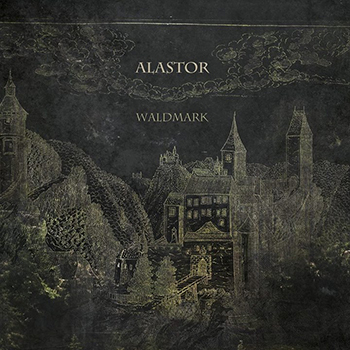 Alastor is very obviously a group that revels in the yesteryear with equal parts pride and passion, and if hearkening to the middle nineties is their goal then they achieve it with respectable aplomb. The music is at once harsh and melodic, epic and furious, and conjures with it a journey worth the taking for fans of classic black metal. Conclusion: For a black metal album true to the heart of the genre’s defining period, Waldmark hits its mark with icy precision.